The second Bear Club installment from Tru Bru had a seriously tough act to follow after a magnificent opening, which you can read about here. This one is again packed with rare offerings that you very rarely find on tap in Australia. June's selection featured no Australian beers, not necessarily a bad thing but just an interesting observation. I'm very interested to try the Tiny Rebel Urban IPA, it will be one of not many Welsh beers that I've had the pleasure to try over the journey. The Dupont Avec les Bons Voeux is also one I'm really looking forward to, I've heard lots about it but can't remember having had it. My curiosity got the better of me and so I kicked this months pack off with the Tiny Rebel Urban IPA from Wales. The beer is wonderfully aromatic! The fruity aroma carries through into the taste, where resinous pine flavours are also present. It's got a slightly earthy feel to it and a bit chewier in the mouthfeel than many IPA's in this ABV range. I can probably count the number of Welsh beers I've had on one hand and this well balanced IPA really stands out above the crowd. Next up was Birra del Borgo's Stelle & Strisce (Stars and Stripes in English). It was a really nice hoppy low ABV (3.9%) beer that I would highly recommend! I did a bottle vs. keg comparison and am pleased to report that there were very few differences, so those of you who aren't yet Bear Club members go grab yourself a bottle! I was very pleased to see one of my favourite styles make an appearance in this Bear Club pack; the Black IPA. The beer was Moor Illusion from the U.K. and I was pretty impressed with it. The hops were nice and bitter and there was good roasting at first. I did get left with a lingering, slightly odd flavour from the roasting which saw it marked down slightly, although it was only minor. 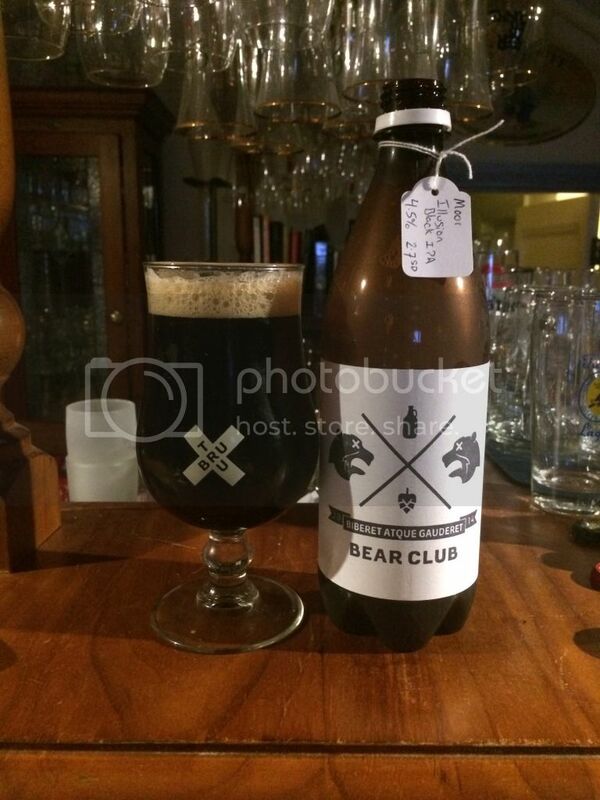 After a quick break in Queensland, I was back into the Bear Club beers with Dupont's Avec les Bons Vouex. There is plenty of conjecture about the style of this beer; Saison, Tripel or Belgian Strong Pale. Personally I sit on the side of Tripel, it's got that sweetness about it and I can confirm is seriously tasty! It's a wonderful beer and you'd never ever guess that it's 9.5%, it's just so drinkable! You can read more about it in the latest Untappd Catchup, where it earned me a badge. One beer that I was particularly keen to try on tap was Rogue's Morimoto Imperial Pilsner. I had it a couple of years ago in the bottle and was blown away; on tap it was even better! The sweet malts at the beginning are balanced by lovely floral hops which provide intense bitterness. Many people have asked me if it's worth paying the big dollars given "it's just a pilsner" - I can categorically say this is so much more than just a pilsner! Go buy it! Summer Wine's Barista Stout was the last beer in this month's Bear Club for me. I actually intended to have this to celebrate the Tour de France starting near the brewery, in Yorkshire, but it ended up slipping to the second week. 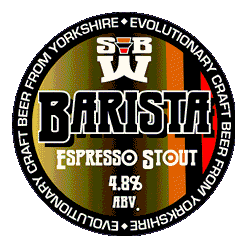 It's a stout with plenty of roast and coffee flavours, while still having quite a thin body. It's a very drinkable stout that I really enjoy on tap. Tru Bru's Bear Club really is the gift that keeps on giving. Again we've had 6 really excellent beers this month that I probably wouldn't have been able to get to try on tap otherwise. The standout this time has to be the Dupont, while the Morimoto from Rogue is the beer I'd recommend to the most people. Having just seen the list for July's Bear Club pack this morning (I'm super excited about it!) - now would be the perfect time to join! Contact Anton and Tru Bru and make sure you say I sent you!